Narrated by an-Nasa’ee and Ibn Maajah from the hadeeth (chain) of Abee Bakr Ibn Ayaash. He was born in the month of Safar, year 575 Hijri. And he died on Monday 8th of Rajab, year 668 Hijri. Hasan Ibn Urfah narrated this in his Juz (hadeeth no.31) and Hafidh Ibn Taymiyah narrated in his chain through Hasan Ibn Urfah. Also Imaam Ahmad Ibn Hanbal (4/286) narrated this from Abu Bakr Ibn Ayaash. 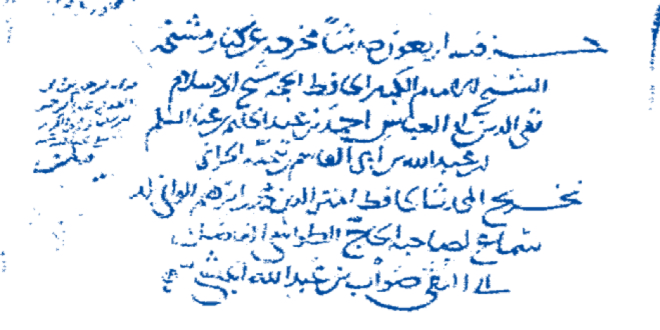 Note: Hafidh Ibn Taymiyah generally describes his teacher’s birth or death, or both of them at the end of the hadeeth. 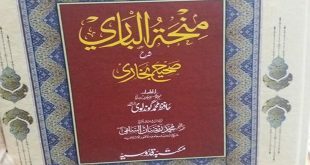 His (Baraa Ibn Aazib (RadhiAllaahu Anhu)) father was also a companion. His mother’s name is Habeebah bint Abee Habeebah Ibn Hubbaab Ibn Anas or Umm Khaalid bint Thaabit Bin Sinnaan. He was Aboo Sa’eed al-Khudree’s paternal uncle’s son. 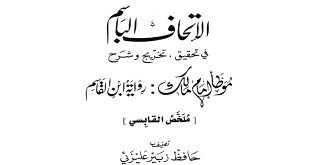 Aboo Umar Zaadaan al-Kindee, Sa’eed Ibn al-Musayyab, Aamir ash-Shu’bee, Abdurahmaan Ibn Abee Layla, Ubayd Ibn Baraa Ibn Aazib, Aboo Ishaaq as-Sabe’ee, Yazeed Ibn Baraa Ibn Aazib and Aboo Burdah Ibn Abee Moosa al-Ash’aree and other than them. May Allah have mercy on all of them. He was not allowed to participate in the battle of Badr because of not having reached the age of puberty and also did not participate in Uhud. He participated in many of remaining battles with the Prophet (Sallalahu Alayhee Was-Sallam).